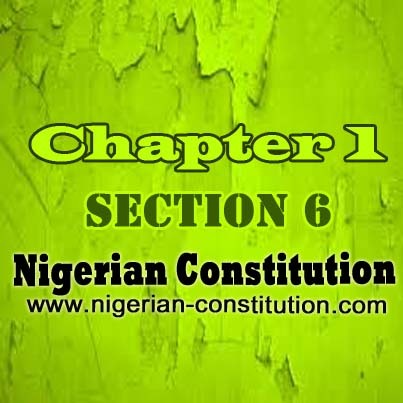 (b) shall extend to the execution and maintenance of this Constitution, all laws made by the National Assembly and to all matters with respect to which the National Assembly has, for the time being, power to make laws. 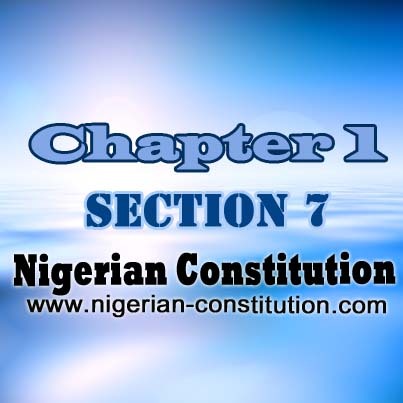 (b) shall extend to the execution and maintenance of this Constitution, all laws made by the House of Assembly of the State and to all matters with respect to which the House of Assembly has for the time being power to make laws. (c) endanger the continuance of a Federal Government in Nigeria. (b) except with the prior approval of the Senate, no member of the armed forces of the Federation shall be deployed on combat duty outside Nigeria. Provided that the President shall, within seven days of actual combat engagement, seek the consent of the Senate and the Senate shall thereafter give or refuse the said consent within 14 days. Chapter 1. Part 2. Section 4. 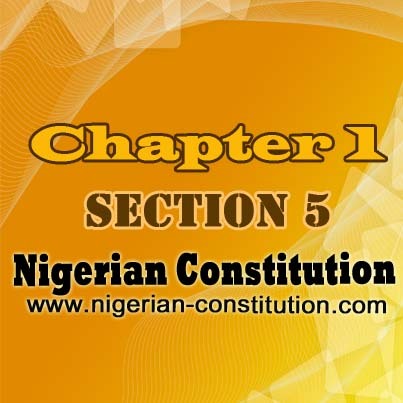 Legislative Powers Chapter 1. Part 2. Section 6. 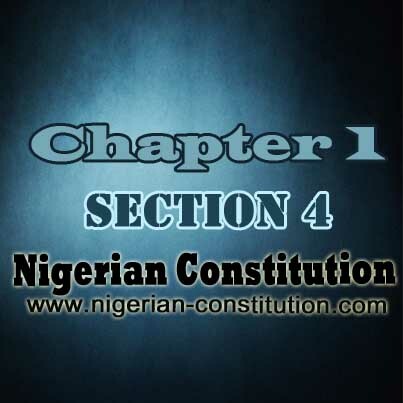 Judicial Powers Chapter 1. Part 2. Section 7. 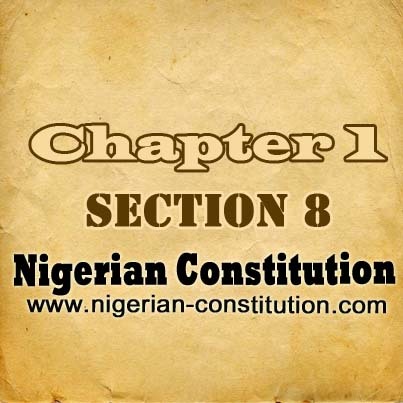 Local Government System Chapter 1. Part 2. Section 8. New States And Boundary Adjustment, etc.